A new game is coming to the Nintendo Switch that combines Ghostbusters with 90’s cartoons. 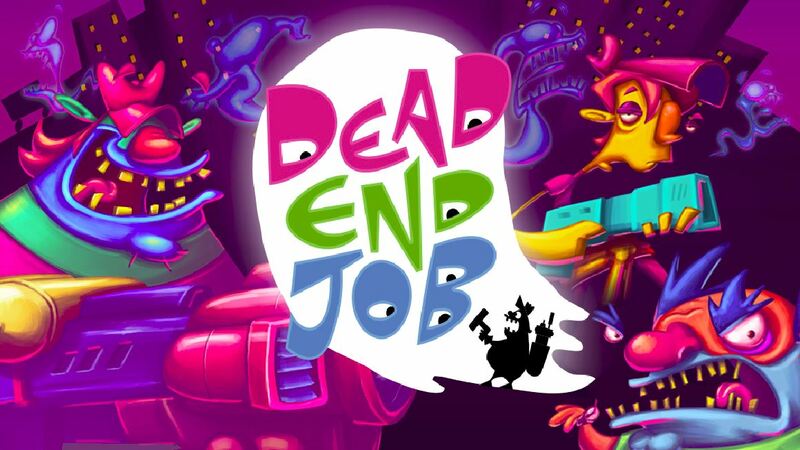 Dead End Job puts players in the role a ghost exterminator after an unfortunate (work-unrelated) accident opens up some job opportunities at Ghoul-B-Gone LTD. Dead End Job will be coming to Nintendo Switch, PS4 and Xbox One Q2, 2019. Join Ghoul-B-Gone now – hiring for anything but a “Dead End Job”! 16th January 2019, Dueren, Germany – After an unfortunate accident (WORK-UNRELATED! ), Ghoul-B-Gone Ltd. is looking for a temporary assistant to help out our Chief Exterminator Officer Hector Plasm in his ghost-extermination duties. Promotion prospects come regularly, making this anything but a Dead End Job! Soon to be published by Headup forPC, Nintendo Switch™, PlayStation®4 or Xbox One, Dead End Job is developed by Ant Workshop a Scotland-based studio founded by Tony Gowland. Gowland was previously involved at Rockstar Games as lead level designer for Red Dead Redemption, and worked on multiple games in the GTA franchise. Ant Workshop’s team also includes other Rockstar alumni, and focus on developing original IP and interesting games with an off-beat sense of humour.